Citroen Racing has announced details of their “Top Driver” scheme, a stepping stone challenge system ranking above the existing French Rallye Jeunes and the international Citroen Racing Trophy system, as the last step leading up to full World Rally Championship activities for drivers. The Top Driver programme encompasses both a drivers and a team competition, with six events (Portugal, Italy, Finland, Germany, France and GB), and is designed to fit in with the FIA’s new WRC3 category for two-wheel drive cars. 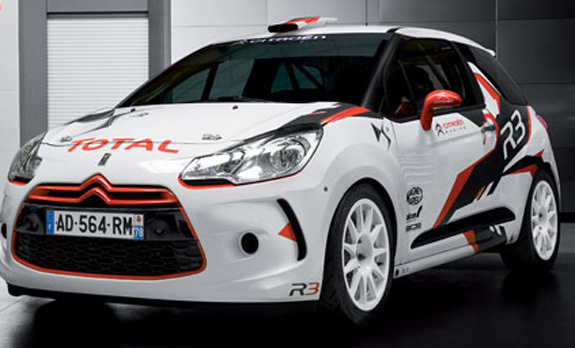 This is now the fourth sub-series based around the 2013 World Rally Championship. Announced earlier were the Rally Class for Subaru Group N cars and the Ralliart Italy series for Mitsubishi Group N cars, both of which fit into the FIA’s new four-wheel drive WRC2 category, and the Junior championship with Fiesta R2 cars which slots inside the WRC3 series as well. All four have selected only European rounds of the WRC, with Portugal, Germany and France chosen by all four series.